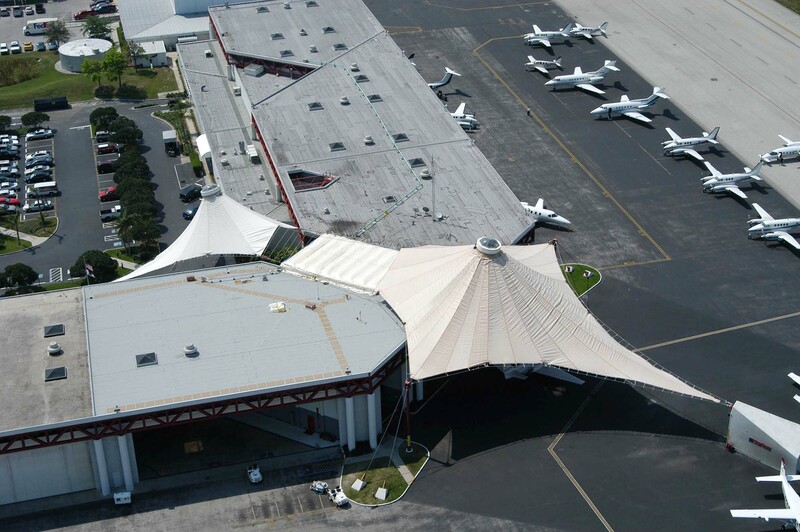 Raytheon Airport Services is a private hangar on the outskirts of the Tampa International Airport. A 2004 hurricane destroyed the canopy, which had been in place for 20 years. The Raytheon terminal is open 24 hours a day, seven days a week, and has numerous celebrities and distinguished visitors arriving at its facilities. It was imperative that the canopy be replaced as quickly as possible to enable the airport authority to receive federal funds to help pay for the project, while not disrupting arrivals or departures. As well, the replacement canopy needed to closely resemble the original structure, which had developed into a landmark icon. Beck’s construction team replaced the canopy, redesigned and replaced a skylight that was leaking, and repaired an adjacent roof. Working primarily at night, the project was completed days before the start of the 2005 hurricane season.